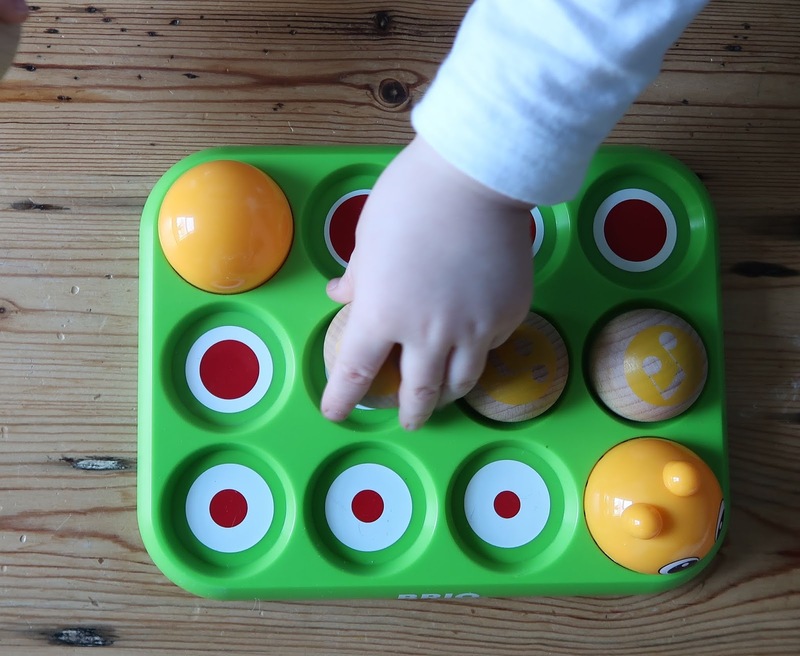 One of the ways I go about choosing toys for the boys is to work out whether it's open ended and therefore can be used in whichever way they decide, whether they will both get enjoyment out of it, and whether it has any educational value. I sort their toys into baskets and often rotate them around, so they get to play with a new selection of toys every couple of weeks. Since they were both babies, I've always had a small basket of musical toys which I keep out in the playroom. 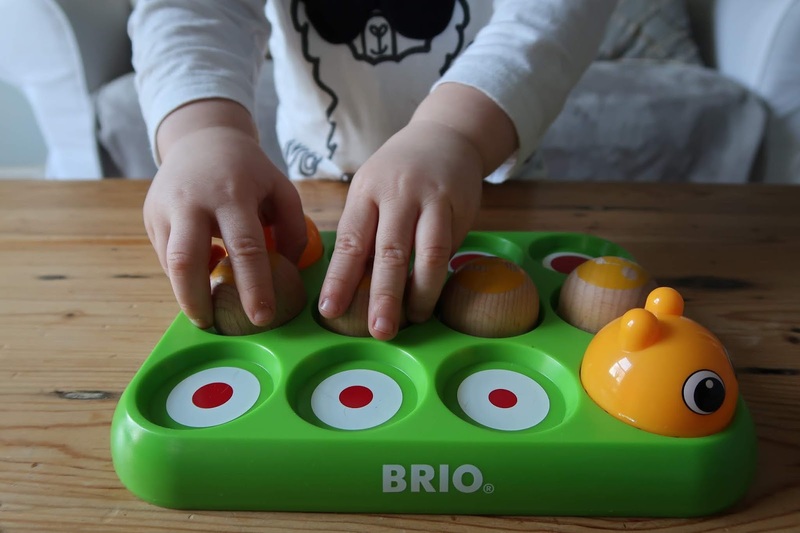 It tends to get a lot of use, but I haven't added to the musical toy collection for a while, so I when BRIO kindly sent us their Play & Learn Musical Caterpillar, I was keen to see what Luca thought of it, particularly as it's completely different to any of our other musical toys. 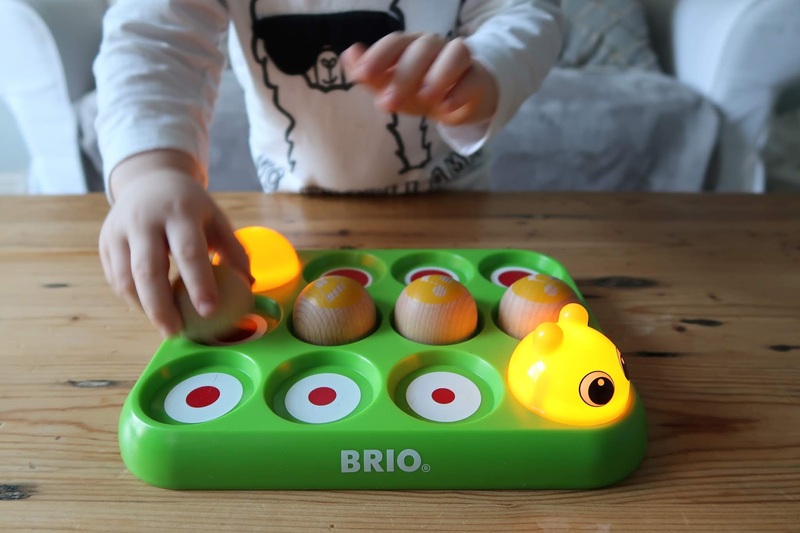 When I think of BRIO, wooden toys and train tracks come to mind, so I was intrigued by the idea of the Musical Caterpillar. 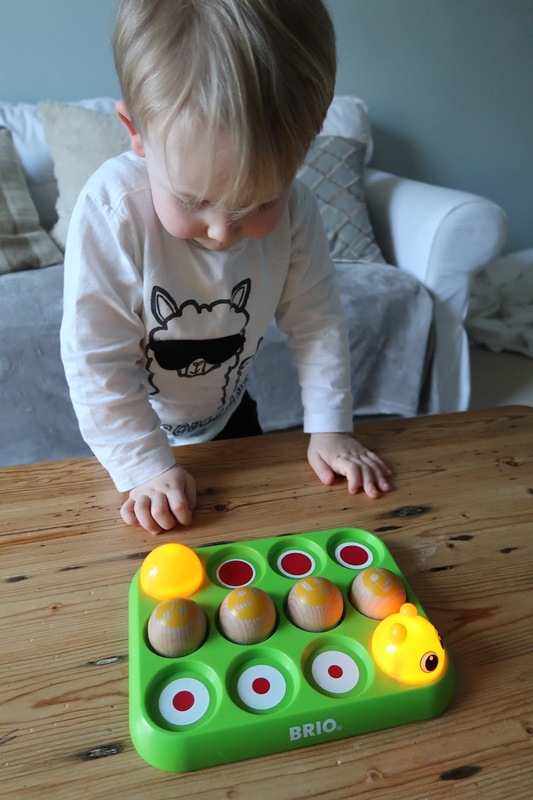 The toy combines technology (wooden balls with magnets which connect to a circuitboard in the tray underneath) with music to allow children to experiment with creating different notes, combinations of notes and pre-programmed tunes. 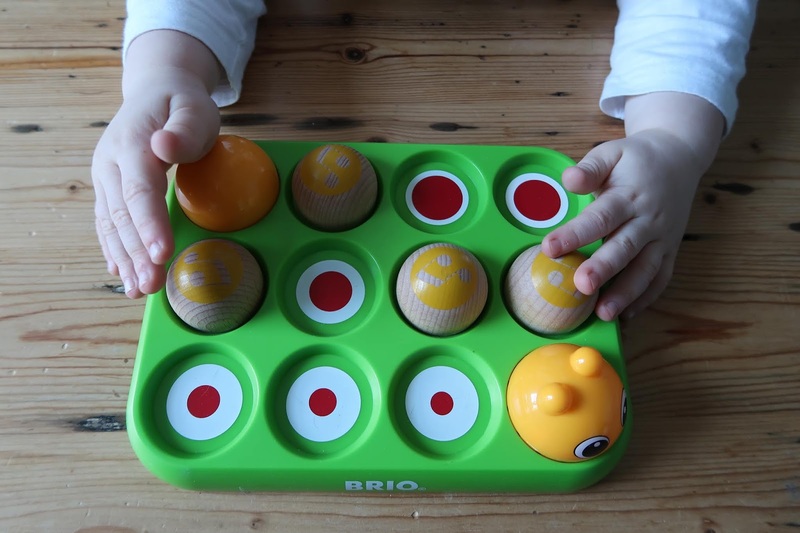 The Play & Learn Musical Caterpillar consists of a bright coloured tray with circular spaces, in which 4 wooden domed blocks sit. When each individual block is placed in one of the 10 spaces, a different tone is made, and the head and tail lights up. For the child to hear a tune, they need to work out that the wooden blocks need to be placed so that the yellow head and tail is connected by using the 4 blocks (there are 10 combinations in total) The set comes with a booklet to show how to create the 10 different combinations, but children can also use problem solving skills to work out how to find those combinations themselves, and getting to hear a little song when they've solved the puzzle. 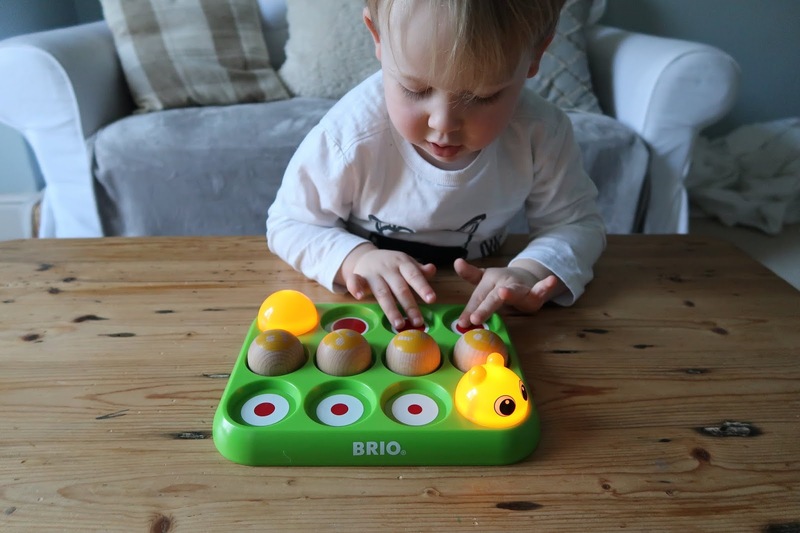 The Play & Learn Musical Caterpillar is aimed at 24 months + and Freddie who is 5 has had just as much enjoyment from playing with the toy and helping his brother work out how to make the different melodies as Luca has by himself. 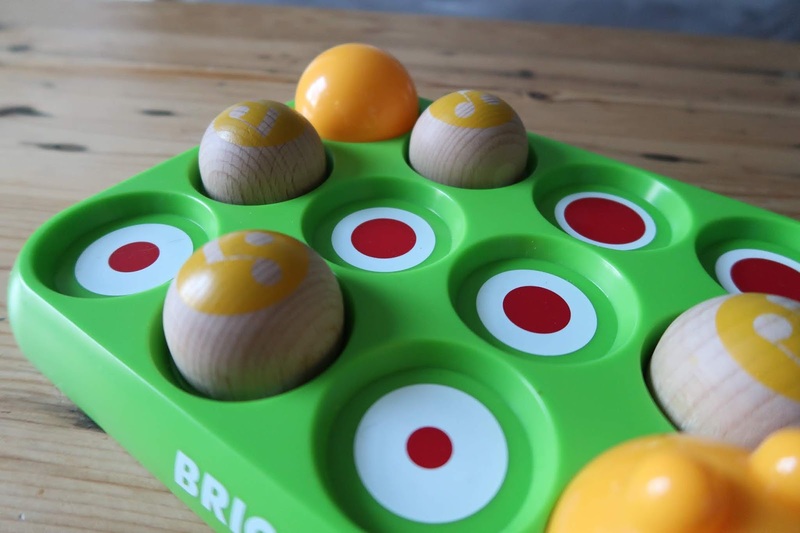 Not only are they using problem solving skills, they are also developing memory skills too ("Can you remember where the blocks went to play Old MacDonald? ", "If I put these blocks here can you remember which tune it played?"). The toy is bright and colourful and is a nice combination or durable plastic and wood. 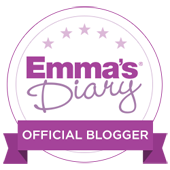 It feels well made and is small and compact enough to take away on holiday or in the car. There is only one volume setting and the tunes aren't too loud. It's worth noting that it does need 2 x AAA batteries (not included). Overall we are really pleased with the Play & Learn Musical Caterpillar. 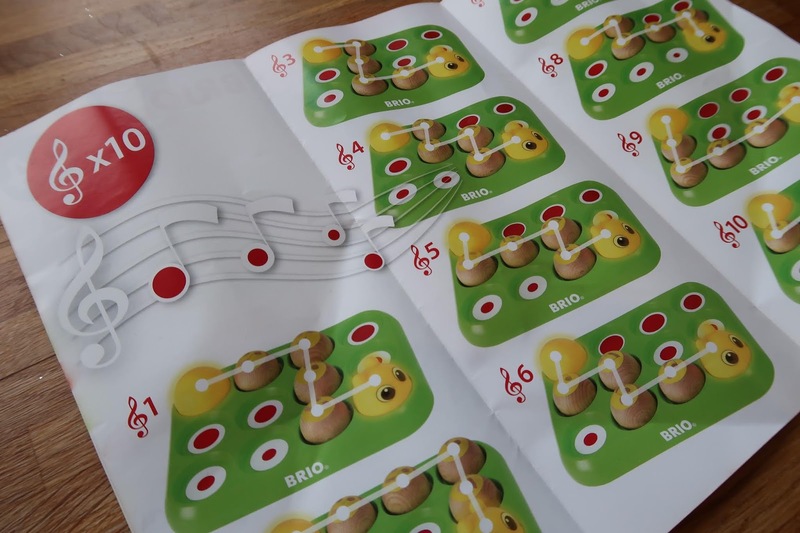 At first glance I wasn't sure whether it would hold Luca's attention, or whether he would find it challenging enough, but he definitely needs to use problem solving and memory skills to find the different combinations, and he can also enjoy the musical aspect of creating his own melodies and listening to the pre-set melodies too. The RRP for the Play & Learn Musical Caterpillar is £34.99. *I was kindly gifted the Play & Learn Musical Caterpillar for the purposes of this review, however all opinions are my own.